Thinking about starting an Etsy business? Here's why one entrepreneur's first Etsy business failed, and what she changed to make it a success. Like many artists, she wanted to make a few bucks on the side by selling her handcrafted pieces on Etsy, so she jumped in. She made 150 pieces of jewelry, took pictures and waited for sales to come rolling in. Except those “rolling sales” never happened. In five months she sold just three items, two of which she called “pity buys” from people she knew. What went wrong? A lot, White says. From dimly-lit images of her jewelry, to entering a saturated market without a real plan for how to stand out, she had many failures before she eventually hit her Etsy stride. Here’s how you can learn from White’s mistakes to help jumpstart your Etsy shop. White had basic photography and even Photoshop skills, but she rushed the process and wound up putting subpar photos on the site. Even potential customers were telling her that certain pictures were too dark. Solution: Take photography seriously. Invest time in every picture. Take close-up, bright pictures that showcase your product in a visually stimulating way. Keep your photography standards high. If you’re photographing something relatively small, think about using daylight (but not direct sun) and simple white poster board as your backdrop. Watch for glare—solve this by trying different angles. You can also purchase small product photography light boxes that will help you avoid glare from your light source. Watch the color balance on your images. If they look unnaturally blue or yellow, there’s an obvious color balance problem that you can probably correct in photoshop, but use your camera settings to correct it right in the moment if you can. No one is interested in seeing the dirty dishes in your kitchen sink. Think about background color choice. Choose a background that is simple and that compliments your product’s colors. It’s actually pretty hard to keep a camera steady when you’re trying to photograph something close up, which can result in blurry images. Use a tripod to steady your shot, or at least rest your camera on something solid—a countertop, the back of a chair. Your product image should be what draws your customer in. If they’re intrigued, they will click on it to see your item description. White says she wrote basic descriptions like, “This is a red beaded earring on a silver fishhook base.” Her simple explanations “had no heart” and simply weren’t good enough for the Etsy audience, she says. Solution: Create a detailed description that makes a personal connection. Let the customer in on the creative process. Etsy buyers are looking for a connection with artists, which is why personal descriptions are best. Use Etsy’s own guide to writing product descriptions as a starting place. If you’re selling handmade silver rings on Etsy, make it a point to read product descriptions from other sellers. Don’t copy them, but think about them critically—what do they do well that you can emulate? What could be improved? Use a tool like Etsy Rank to find out who the most successful sellers are, and see what you can learn from their listings. But like anything else, there can be many reasons why a shop is successful, so don’t base your entire strategy for writing descriptions on what the top sellers are doing. To sell anything on Etsy, your product needs to show up in a customer’s search results. If they Google “handmade silver ring with opal,” you want your product to be on the front page. If you’ve never thought about search engine optimization (SEO) before, don’t be intimidated. White admits she was in uncharted territory here. “It is impossible to sell anything, even the most amazing, well-priced, beautiful product, if no one sees it,” White says. Solution: Understand that search engine optimization is an undertaking, but it’s worth your time, White says. She read up on best practices to improve her Etsy search results and suggests the same for new Etsy sellers. Writing interesting and unique headlines and product descriptions is a great place to start. Etsy recommends making sure that you fill out your Etsy shop’s About page so that Google gets a sense of what you’re selling. Another easy tactic is to link to other listings in your store in your product description. For instance, if you have a listing for a silver ring with an amethyst, at the end, include something like: “If you’re looking for a pair of amethyst earrings to match, check these out” and link to your earring listing. Share your listings on social media to try to increase traffic to your site. If you write a blog where it’s natural for you to mention your product listings, link to them. If you find that one of your products is mentioned somewhere on the web outside of Etsy, ask the author to link back to your product description. It doesn’t hurt to ask. Check out Etsy’s guide to SEO. They offer some more insights in this help doc. Looking to Etsy probably shouldn’t be your only step, but it’s a great place to start. The best thing about these two resources is that they’re specific to Etsy. Then, check out Search Engine Watch’s guide. If you’re going to grow your Etsy store, it will be helpful to standardize how you write your product descriptions, what keywords you’re using to describe your product, and your headline structure for each listing. It might also be beneficial to think about how you’ll get the word out on social media or through your blog each time you add new items. Think of SEO as a way to keep things simple, so you’re not reinventing the wheel every time you put out a new product. If you observe basic best practices, it will help your listing gain visibility in search results. White entered one of the most saturated markets on Etsy: jewelry. While she loved the jewelry she made, when she compared her talent to that of other sellers, she realized that she wasn’t outstanding. “If someone searched for red dangle earrings or charm bracelets they had hundreds of very similar options to choose from, and I fell right into the middle of that mass of offerings,” she recalls. Solution: Look for a niche. When White realized that her jewelry store wasn’t going to be successful, she added other artsy items to her store to see if anything generated interest. After months of minimal sales, she started getting orders for custom portraits. She made the decision to get out of the saturated jewelry category and stick with this newfound niche. Now White’s successful Etsy shop sells custom portraits and not one piece of jewelry. For all the Etsy hopefuls out there, White suggests doing research before jumping into the world of online sales. Figure out what you want to sell, see what’s already available on Etsy, look into costs, and read up on optimizing an online shop before you make dozens of products that you can’t sell. Etsy is a good marketplace option for crafters, in part because there is potential to access an audience who is already looking for handmade items right on the site. But it’s still a business—and there aren’t any guarantees that you’ll be successful unless you do some planning. Think about putting together a Lean Plan—you can use the free Bplans One Page Lean Plan Template. 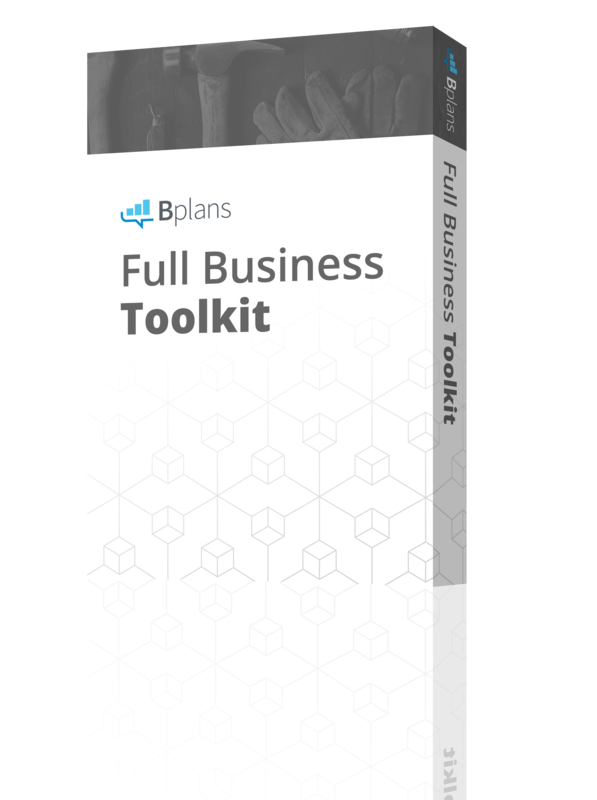 It doesn’t have to take weeks or months to put a business plan together. In 30 minutes or an hour, you will have thought through some of the essentials of your business. Looking for more help starting your Etsy business? Check out How to Start an Etsy Shop, How I Made 2,000 Jewelry Sales on Etsy, and How to Start an Online Business in 4 Steps.